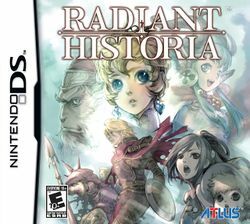 Radiant Historia is an RPG developed by Atlus for the Nintendo DS. An expanded remake called Radiant Historia: Perfect Chronology was made for the Nintendo 3DS. It features new character designs, a new character named Nemesia, and additional scenarios. This page was last edited on 18 May 2018, at 21:18.